As the price of bitcoin hit its all-time high of $19,000 last year, most people thought that it is too late to buy it. Despite the fact that the bitcoin price has shed some value since then and now trades around the $9,000 mark, most of those people still think it is late for them to buy a bitcoin. 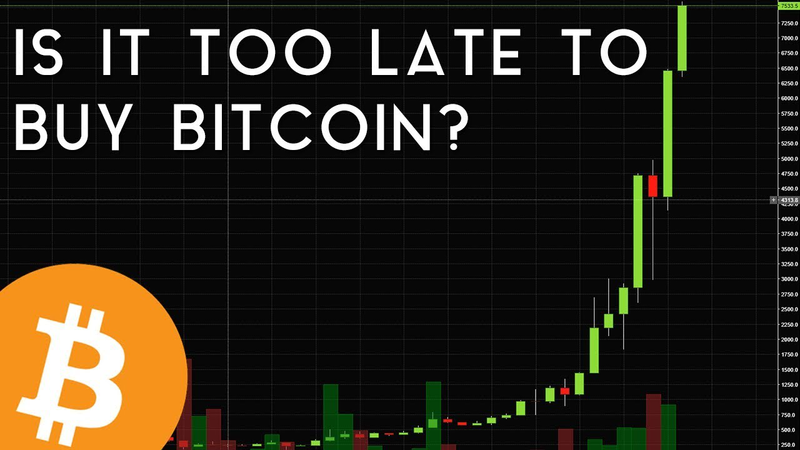 However, it is not too late to purchase a bitcoin or invest in cryptocurrencies. The advice by most financial experts to steer clear of crypto investments is wrong for several reasons and there are reasons which point to the fact that Bitcoin and other cryptos are destined for greater things. We will take a look at some of these points. The stance of some top companies and governments in the world surrounding bitcoin and other cryptocurrencies is changing. An example of this is Ripple, a cryptocurrency that has been designed to make inter-boarder payment faster with less transaction speed. Banks and other financial institutions across the globe have registered with Ripple to use their blockchain so as to make payments faster. This huge potential by Ripple means that it is set to become a very important coin very soon. Bitcoin is also trying to catch up with that with the adoption of the SegWit and the Lightning network. As these cryptocurrencies begin to gain widespread acceptance by companies and businesses across the globe, their coins will ultimately increase in value. Thus, it isn’t late to invest in a crypto project to invest in. According to the “Bitcoin Index Misery” tool that was developed by a Wall Street analyst Thomas Lee, this is the best time to purchase Bitcoin and other cryptos. The bitcoin misery index is currently below 18, which means now is the best time to buy a bitcoin or invest in cryptos. He explained that the misery index gets low every year and bounces back within 12 months. Lee has predicted that Bitcoin would hit the $20,000 by the middle of the year while his end of the year prediction still remains at $25,000. This view is shared by analysts in the financial world. 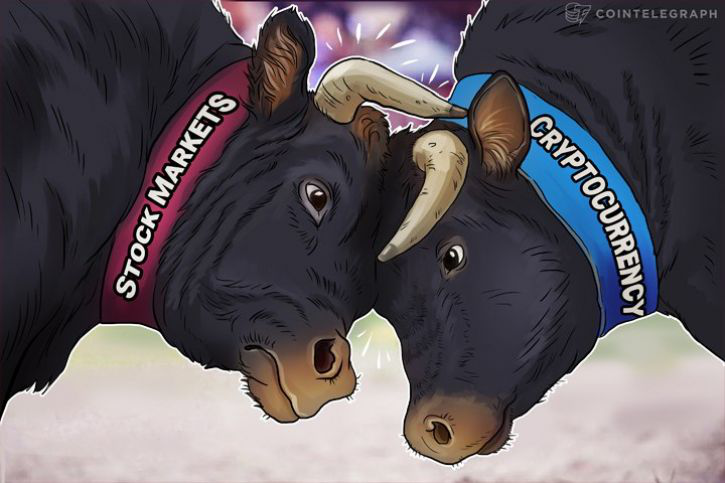 The crypto market is currently facing a correction but it is expected to bounce back and go on a bullish run afterward. The price of cryptocurrencies have been rising for the most part since they first started out and there is no indication that the rise will stop soon despite the current market correction. Another reason why people are convinced that it is too late to invest in bitcoin and cryptocurrencies, in general, is because of the huge market value. The market value of cryptocurrencies which rose quickly last year has made several people think that the market is saturated and a bubble might soon take place. Let us take a look at this statistics and understand what is really happening. The US Stock Market Cap is 167 times bigger than the Bitcoin market value and it is also 94 times the size of the crypto market. The second largest economy in the world, China has a stock market that is 54 times the size of Bitcoin’s market cap and 31 times that of the crypto market. Why are we making this comparison? It is because we want to dismiss the notion that Bitcoin and other cryptocurrencies are in a bubble. The crypto market is just a fraction of the US and Chinese stock market. When you look at it that way, then you will know that the crypto market isn’t in a bubble, rather it has the potential to grow even bigger than it currently is. Since they have the potential to grow even bigger, then it isn’t late to invest in Bitcoin or other cryptocurrencies. Crypto market is just a fraction of the events that happen in stock exchanges across the globe and has the potential to rise even higher in the next few years. Looking at it from another angle, let us take a look at the market cap of some random market and compare them with that of cryptocurrencies. Some markets such as the Autonomous Vehicles, Virtual Reality, Augmented Reality, and the Internet of Things haven’t been fully explored yet but their market cap is bigger than the whole crypto market. It is safe to conclude that the Bitcoin and crypto market has made more progress than the above-listed markets yet they have bigger market value than Bitcoin and other cryptos. How often have you heard people ask if it is too late to invest in the virtual reality market or the autonomous market? How often have you heard people ask if these markets are in a bubble even though most of have greater market value than the crypto market? The loyalty points market currently has a market value of $653 billion, which is bigger than the whole crypto market but the market has never been termed as overvalued. All this points to the fact that the crypto and bitcoin market has the potential to grow even bigger than it is at the moment. When you consider the fact that larger players in the industries such as hedge funds, CME, investment banks, pension funds, asset managers, and others haven’t started investing in the market yet, then you would know that the market will explode beyond its current state and it is not late for you to invest in the market. The most important rule of investment is diversification. Keeping all your investments in one market is very risky as you might lose everything. However, if you diversify, you reduce the risk of losing everything. Bitcoin and other cryptos are excellent assets to diversify your investment. The question posed in this post is something only a few people can answer with much confidence. However, all signs point to the fact that it isn’t late to invest in Bitcoin and the crypto market as the market has the potential to become even bigger than it currently is.